The girl next door becomes the woman who almost got away. Micah Chan has loved Lucy Choi ever since they were kids, but life—and some regretful decisions—stopped him from pursuing her. Now he has a choice to make: Let her marry another man or break up her engagement to make this Christmas the most memorable one of their lives? Micah and Lucy were introduced as children in the books Tropical Kiss or Miss and Taking a Chance on the Enemy, respectively. Meet them now as adults on the brink of discovering their own happily-ever-after. Oh, what a sweet and fun this story was! I have not read any of the previous books in this series, and I can certainly attest that this can stand alone as it’s own novel! I absolutely loved the mostly light hearted journey of Lucy and Micah! 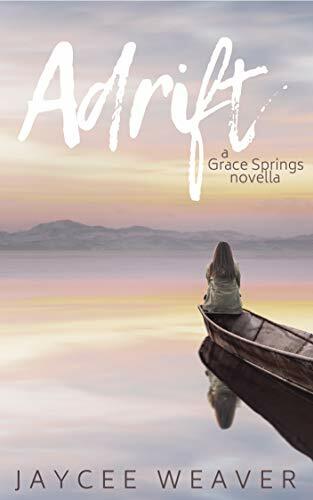 I especially loved how these two meet as children, and while Lucy is not the happiest camper at 10 years old and having just moved to a new home and school, I became quite enamored with thirteen year old Micah and his strong faith in the Lord at such a young age! The story takes us back and forth through the history and present day relationship of these two beautiful characters in a way that is done without a hitch. I normally do not like books that jump around time wise, but, honestly, this was done in a way that made perfect sense, and I don’t think I would have appreciated their story as much if the author gave it all to me chronologically. What I also really liked about the entire story was how all of the main characters were already firmly rooted in their faith and belief in God. The only real ‘drama’ in the story was the relationship these two had as friends, almost sibling like, to falling in love with each other and not really knowing how to move past their close friendship into the next level! Now this may sound weird, but I also loved reading about the family meals and food they ate, lol! I love to learn subtleties of other cultures, and this part was wonderfully written into the story! I have never read any of Ms. Ho’s books before, but I am certainly going to start reading more now! 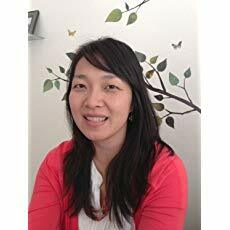 Liwen has sweetly offered to give away a free ebook version of Tropical Kiss and Tell to one of our readers! Simply comment on this post and share with us your favorite vacation spot! Winner will be notified via email after the contest is over! Thank you so much for joining me today, Melanie! I am excited to get to know you a little more and share you with our readers! Hi, Paula! Thank you for having me as a guest. I’m looking forward to chatting with you as well! PM: I know your home is in Texas, where about in Texas though? I have never been and live to learn about new places! Can you tell us what your favorite place in Texas is to take visitors to? MDS: I live in the Texas Hill Country near San Antonio. We just moved here in the spring, though, so we’re still getting to know the area. I love it, though! My favorite flower is the bluebonnet, and I’m excited to know that we’ll have a lot of them next March and April. I’ve also lived in the Dallas/Fort Worth and Midland areas as well as Abilene. I think one of my favorite places to take visitors to in Texas is probably the Kerrville and Fredericksburg areas. It’s beautiful there with so much to see and do, plus some gorgeous places to camp! MDS: When I was a young child, I loved everything by Beverly Cleary and would read them again and again. Later, it was probably the Narnia series closely followed by the Hobbit and Lord of the Rings. My mom read a lot of books to my brothers and I, and I like to do the same with my kids now. PM: I sometimes look at my hubs and wonder – where did he get that idea from?? What’s the most difficult thing about writing characters from the opposite gender? MDS: The most difficult thing for me is during those times when my hero and heroine aren’t together. I try to write what they are thinking about and how much the other person is on his or her mind. I know what the woman might be thinking and how the man she’s interested in might occupy her thoughts, but I often struggle with the guy’s perspective. MDS: I grew up with three different goals for my future: To be a stay at home mom, an author, and a marine biologist who studies sharks. I’ve accomplished the first two, and I have to admit the third doesn’t hold a lot of appeal to me any longer. LOL So if I couldn’t be a writer, I’d probably be focusing more on hobbies like photography and crocheting. PM: Do you write stories more from your own experiences, or do you spend a lot time doing research on the type of characters you’re creating? MDS: I definitely tend to write more from my own experience. I’ve done research into the type of characters I create, but most of the time, I do research into the situation around the characters. 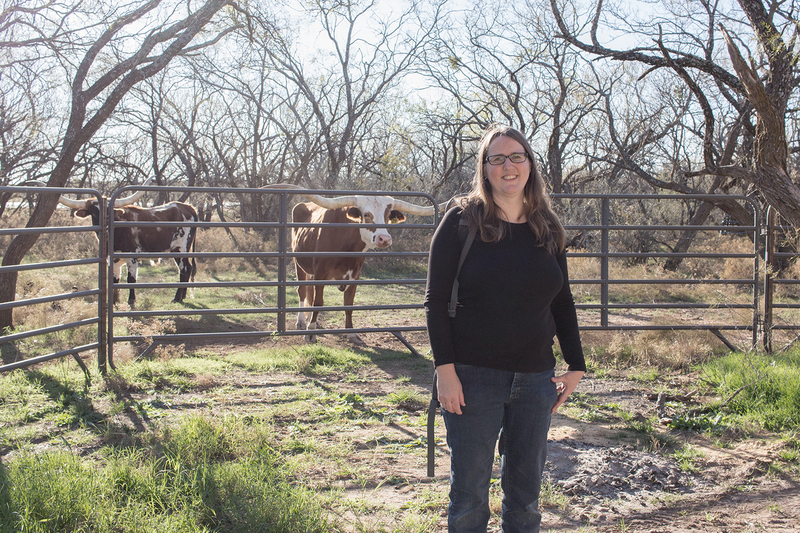 For example, in Finding Joy, Parker works on a cattle ranch that includes Longhorns. Chelsea starts working there with zero farm or ranch experience. 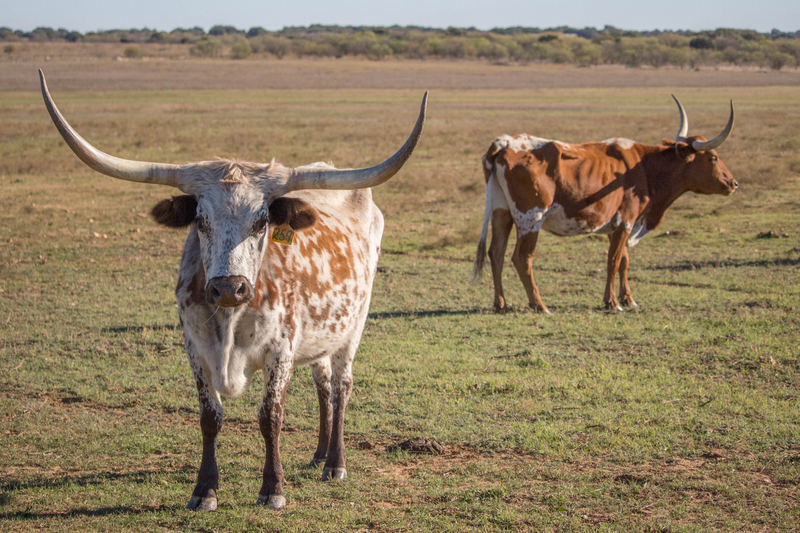 I happen to have a friend whose family owns a Longhorn ranch. I was able to go and talk to my friends, see the Longhorns in person and watch them come running across the field like I wrote about in my book. I even got to feed one of them. 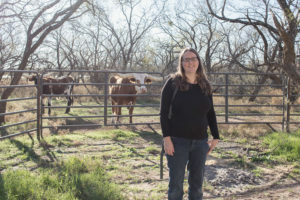 It was an experience I’ll never forgot, and it was fun to be able to write Chelsea’s viewpoint from the experience of seeing Longhorns up close for the first time myself. MDS: When I’m not writing, I enjoy photography. I love nature photography the most, but I also enjoy taking portraits of our kids and our family portraits every fall as well. I haven’t done a lot of photography work lately, but hope to change that soon. I mentioned my excitement about living in an area that will see a lot of bluebonnets this next spring, and I have a feeling I’ll be photographing them a great deal. MDS: I would want the power to heal injuries, both mental and physical. If I could choose a second superpower to go with that, super speed would be fantastic for SO many reasons. 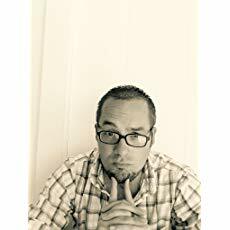 MDS: The best way to keep up with my new releases is by following me on Facebook and signing up for my newsletters. Readers can also follow me on Amazon to get notices. MDS: If we’re talking hot beverages, the only one I drink is hot chocolate. But I do enjoy unsweetened iced tea, though! Thanks again, Paula, it was so much fun visiting with you! I hope you have a blessed day! 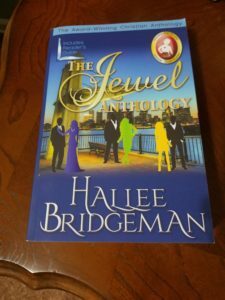 Review of Sapphire Ice & FREE ebook by Hallee Bridgeman & A PRINT GIVEAWAY!! I am bringing you this review today of an older book, but I am going to admit that I have read this book – and the entire series – at least half a dozen times. Why? Well, I will tell you….first let me say Hallee Bridgeman is probably only the second Christian Fiction author I have ever read (the first being Robin Jones Gunn and the Glenbrooke series). I fell in love with Hallee and her writing, and have read every single (fiction) book she has ever published. 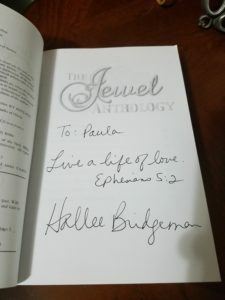 In fact, it was due to Hallee that I “met” many other Christian fiction au thors through boxed sets that Hallee was in. Because of this I have essentially stopped reading anything but Christian fiction! That all being said, this is seriously one of my all time favorite books / series. I love these characters to the point I dream about them – no kidding. I bought the combination paperback of the first four books in the series directly from the author so she would sign it for me. How fan girl is that of me?? Okay enough about how obsessed I am with the books, let me tell you about Robin and Tony….and their amazing journey. When you read the opening prologue of this book, do not be surprised to catch your breath and practically have your heart racing….maybe even tear up a little. The story of Robin and her sisters is one that I now carry in my heart. Robin is so tired….tired of working two jobs to make ends meet and put her youngest sister through school, tired of having no life but but working and caring for her sisters, tired of constantly feeling like she has her back to the wall. Tired of living in a cramped, crappy apartment because it is all she can afford. Tired of hoping her run down car will last just a little bit longer until she can afford a ‘newer’ used vehicle. Robin is plan worn out! Enter Tony Viscolli….gazillionaire extraordinaire. Handsome, Italian, wealthy as sin itself, and yet no one knows how he was raised on the streets of Boston and barely made it to 18 years old without going to jail. Now he’s all polished up, lives in the best penthouse suite and owns so many businesses it’s hard to keep count. Tony is blessed to have found God and made his mission in life to give back to the church community he loves, and help others every way he can. But there is something missing in his life, for all his money, friends and loved ones….he is still alone in the world. Then he walks into a bar (right?) and meets the sapphire ice eyes of Robin Bartlett and neither of their lives will ever be the same. These two main characters are in my heart and soul forever, I love them so much! Hallee’s writing is so spot on when it comes to having been a victim of abuse, and doing whatever it takes to protect the ones you love. This book is FREE on Amazon to everyone and I cannot recommend it enough, I pray you will all be as blessed as I was to go on their journey! Oh yeah, and BONUS – there’s recipes at the end of the books! I love recipes! Hallee also has great book club discussion questions at the end of every book in the series! 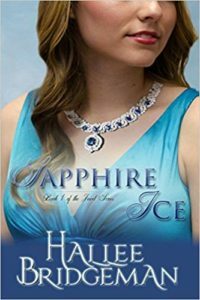 Hallee is being so generous as to offer one of our readers a free PRINT copy of Sapphire Ice! All you need to do to enter is comment on this post and tell us if you ever like to re-read a favorite book! Winner will be notified via email! After Iris Delaney kissed him and ran off eleven years ago, Camden La Salle never wanted to see her again. But Iris is back in town caring for her nieces and baby nephew, and she needs his help. Can Camden let go of their past history to help Iris with her present crisis for the sake of the children’s future well-being? A Christian coastal beach town romance with suspense, LOVE YOU ALWAYS is book 6 in USA Todaybestselling author Jan Thompson’s Savannah Sweethearts series of sweet, clean, wholesome, and inspirational multiethnic contemporary Christian. I am a big fan of Jan Thompson’s books, especially the Savannah Sweethearts collection! I was thrilled to be able to read Love You Always, book 6 in the series. Not only does this story have the great background of Savannah, GA and the history of previous characters, but it is also a suspense theme! Add in the past love gone wrong and three adorable children, and you pretty much have me sold, lol! Iris Delaney, aka: Auntie Ibis, is forced to return to her home town after being gone for eleven years. 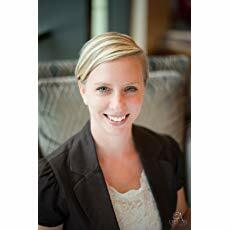 When sweet young Peggy calls her aunt to help because her baby brother has run out diapers and mom is no where to be found, Iris immediately quits her job in Jacksonville Florida and comes to Savannah to find her sister and care for her nieces and nephew. She never imagined the man she walked away from eleven years ago would be one of the first people there to help find her sister and end up taking care of her and the children. Camden tried hard not to be the person “assigned” to assist in the search for Bianca Delaney, given his past history with her sister, Iris, but as we all know, God has His own plans. Little Peggy is pivotal to the entire story, and absolutely precious as any five year old can be! I found myself literately laughing out loud at some of her comments, phrases, and unexpected interruptions! I have not had the pleasure of a little one around me in a long while, but she certainly conjured up some memories of the times when my adult child was that age. Jan Thompson’s writing is wonderful, she takes us trough the past of these two main characters without a hitch in the plot and you never feel as if you are experiencing flashbacks. The levels of suspense and mystery flow perfectly, very edgy at times, but always brings God front and center to every situation. The Bible verses quoted were extremely pertinent and had me diving into my own Bible with my journal by my side to jot them down. If you adore a great romance novel you will enjoy this story. If you like mystery and suspense, you will enjoy this story. If you appreciate a story centered on God first, you will enjoy this story! 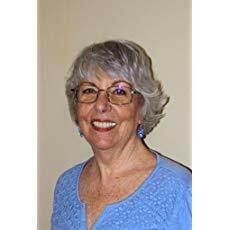 Jan Thompson loves to hear from her readers. Join her mailing list to receive book publication news, sales and specials, cover reveals, and exclusive details and content. N.B. 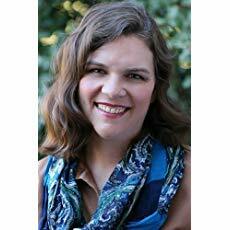 Readers should know that there are several authors by the same name of Jan Thompson. All the books written by this Jan Thompson are listed on her book page: JanThompson.com/books. Jan has sweetly offered to give away a free ebook version to one of our readers! 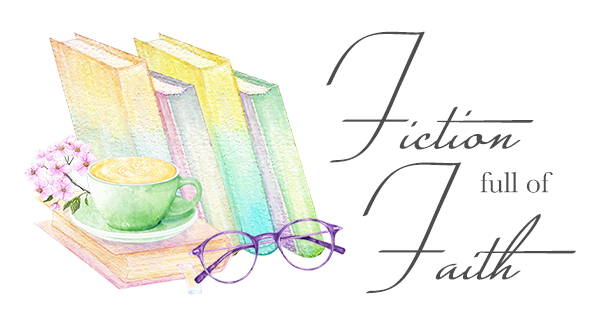 Simply comment on this post and tellt us one of your favorite themes / tropes in Christian fiction! Winner will be notified via email after the contest is over! December 24, 2018 in Merry Christmas! Wishing all of you beautiful readers a Blessed and Merry Christmas with your loved ones! We will return on Thursday with another review and giveaway!! Review & Giveaway of Until Christmas by TK Chapin! 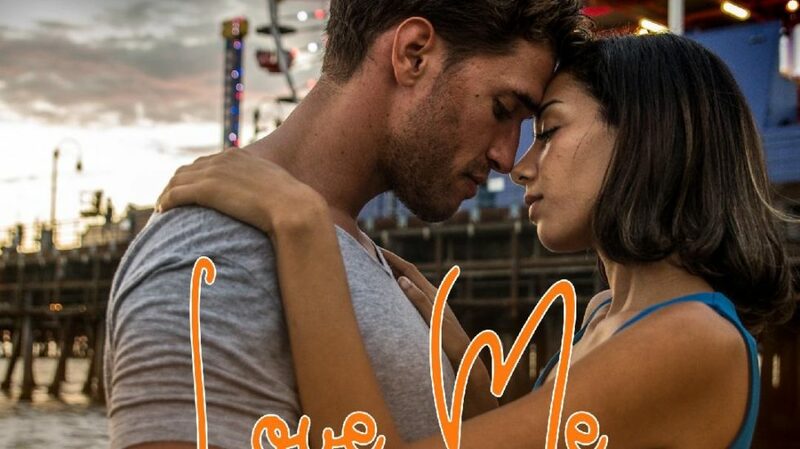 Can a chance meeting lead to true love? Or does love not always find a way? With the holidays quickly approaching and not enough money to even stay caught up on bills, Amanda takes a second job at Northtown Mall in the heart of Spokane, Washington. 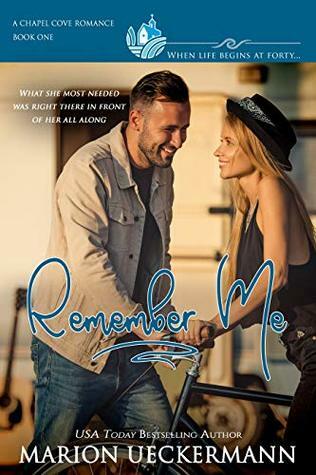 What was originally thought of as just an extra paycheck turns out to be much more when she meets a man who might just be an answer to her prayers. 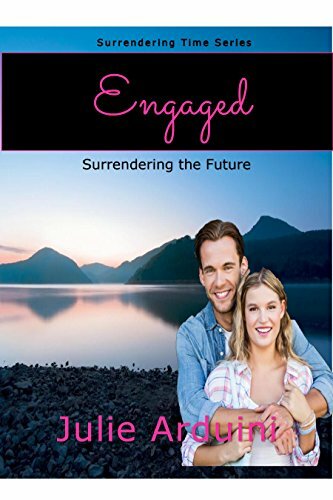 Nate’s heart has grown weary of never seeing his daughter, Sydney, since he moved away after his divorce over two years ago. Taking an extended trip to spend quality time with his daughter, he hopes to inspire her to return to church and start taking the right steps in her life. What was only meant to be a trip to see his daughter turns into much more after one fateful night at the mall. 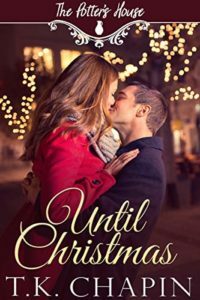 “Until Christmas” is a story of two hearts molded and shaped by the Master Potter in the most unlikely of places and blessed by the greatest love of all. 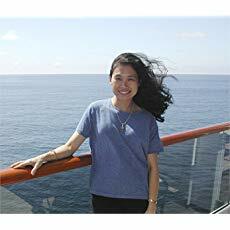 Join Amanda and Nate as they navigate God’s will in their lives. The Potter’s House series has become a favorite of mine, and I am sorry to say I have never read a book by this author prior to this one! I was very excited to get this review copy of this story! I have heard many good things about TK Chapin, and I was not disappointed in the least! Nate and Amanda meet at a very strange time in each of their lives. While Amanda is having financial issues and trying to “a big girl” about it, Nate is dealing with being so far from his daughter and her daily life. Amanda ends up taking a second job, and Nate is getting more and more frustrated with his employment. When Nate ‘forgets’ his daughter’s birthday gift, he is forced to go shopping at the last minute and enlists Amanda’s help in selecting presents. I said ‘forgets’ in quotes, because to me, this is just such a God thing! Even though they each have their own struggles they are working through, both of them rely heavily on their faith in God to see them through the good and the hard! This was a great thing to see in a novel today, so many times one of the main characters may not be a believer, or is having an issue with trusting God. This story definitely has both the hero and heroine depending deeply on their relationship with Jesus and stepping out in faith in several ways! I am so grateful for having had the opportunity to read this lovely story, and I look forward to reading more of TK Chapin! TK Chapin has been so generous to offer a free e-copy of this amazing book to one of our readers! Simply comment here and tell us when you like to do your present shopping – early on or last minute? Giveaway will be open for one week from today and winner will be notified via email! I’m Gracie and this is my story. I live in the beautiful Shenandoah Valley with my mama Bernice, and Miss Millie, the renter who lives with us. I sure wish she were my grandma, she’s that sweet! But then, I find out in this here book that she’s an honest a goodness angel! Here in Pleasant Hill, we talk a tad different saying things like ya’ll, yes’m, and yes siree. Our words spoke with love warm my heart because everyone cares about their neighbor and what’s going on with one matters to all. In this first Fruit of the Spirit book, I want to join my mama’s Save a Soul Prayer Team to thank God for all the people who came around us when my firefighter daddy died saving the town from a huge brush fire. Fact is, I’ve a list of wants, like having a sister, helping my sorrowful friends daddy figure out where his family has gone and…well…stuff like that. But I heard tell that God can do what I can’t. I find out how true that is when I fall into a sinkhole and Jesus meets me there. With a smile in my heart. I’m eager to do what he asks. My faith adventure takes me from the school playground to the hospital and home. All the while the Lord is with me, mine, and my new sister every step of the way. At fifteen, Paula-Roseand her family spent many weeks on a friend’s farm in the Shenandoah Valley.Since all had daily jobs on the farm, she did too. 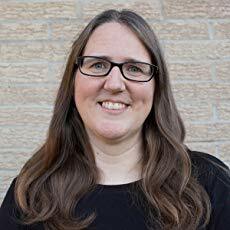 Though Paula grew up inlarge cities, she loved being there and has suggested to her pastor husbandthat if they retire she’d like to live where her heart first experienced whatshe hopes kids do when they read her Gracie books. Happily married to Lutheran Pastor, and Chosen People Ministries fieldmissionary, Ron Michelson, the couple have two wonderful married daughters andseven adorable grandchildren. When her daughters were little, Paula’s husband made up wonderful stories forthem. She learned from him the joy of using life situations in a way thatblessed children. What started as bedtime stories are realized in this firstGracie book written to entertain and encourage love for God and His Word, whilekids learn about the Fruit of the Spirit. When not writing, Paula likes to teach Praying the Psalms to the women at herchurch. She loves to ladies drawing closer to God while He shows them how todeal with each emotion in a way that brings them closer to the Him. A member ofher church’s weekly prayer team, Paula knows all things the Lord asks of us areaccomplished when we start with prayer. To get your name or the names of everyone in your group in “Bill-Bob’sChristmas Cookie: 10-year-old Gracie &the Save a Soul Prayer Team, Book2” send a never been published cookie recipe to GraciePrayerTeam@mail.comA committee of kids and folks who love cookies will choose the winner. If you like a book please post a few words in the review section and encourageyour friends with kids to read this book to their brood and give it to others.